Some of the most spectacular and famous spring wildflower displays in California occur in the state's deserts. In fact, California's deserts support a surprisingly rich diversity of plants and animals year-round, making them a rewarding destination for outdoor enthusiasts as well as professional naturalists. 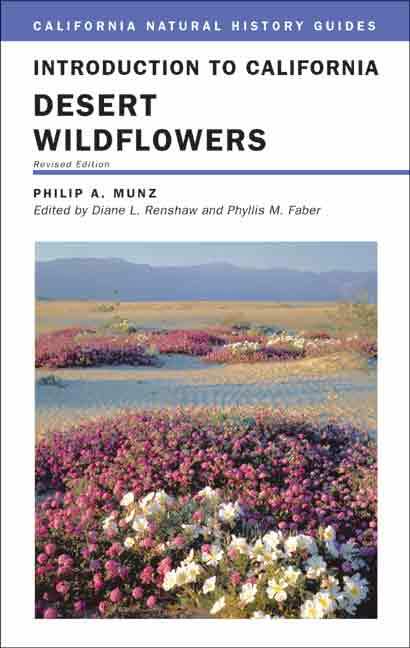 First published forty years ago, this popular field guide has never been superseded as a guide to the wildflowers in these botanically rich areas. Easy-to-use, portable, and comprehensive, it has now been thoroughly updated and revised throughout, making it the perfect guide to take along on excursions into the Mojave and Colorado Deserts. Philip A. Munz (1892-1974), of the Rancho Santa Ana Botanical Garden, was Professor of Botany at Pomona College, serving as Dean for three years. Diane L. Renshaw is a Consulting Ecologist. Phyllis M. Faber is General Editor of the California Natural History Guides.